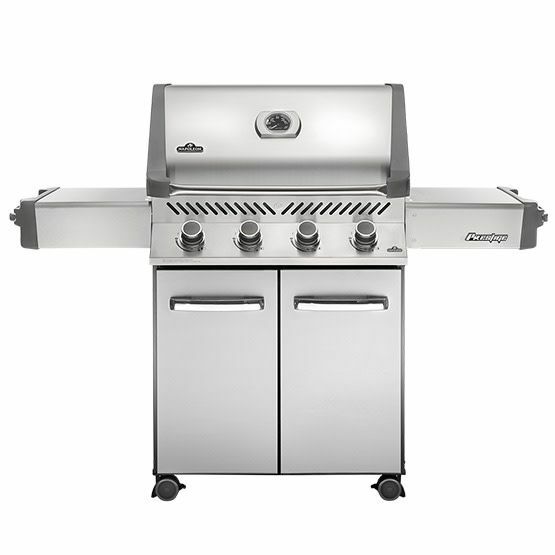 Grilling up a delicious dinner for a crowd is easy with the stainless steel Napoleon Prestige® Series 500 Gas Grill. Grill up to thirty burgers at once over the burners. Five hundred square inches of grilling area, plus another two hundred and sixty with the addition of the generous warming rack. You’ll know it’s a Napoleon with the iconic WAVE™ cooking grids for those distinctive sear marks. Not just durable on the outside; under the lid, the same quality stainless steel is used for the cooking grids, tube burners, sear plates, and basin. The dual-layered, LIFT EASE™ roll top lid provides superior heat retention, allowing you to sear, bake, roast, smoke, and even turn your grill into a charcoal BBQ with the optional Cast Iron Charcoal Tray. This compact grill features folding side shelves and interior cabinet storage inside the minimalist pedestal base. 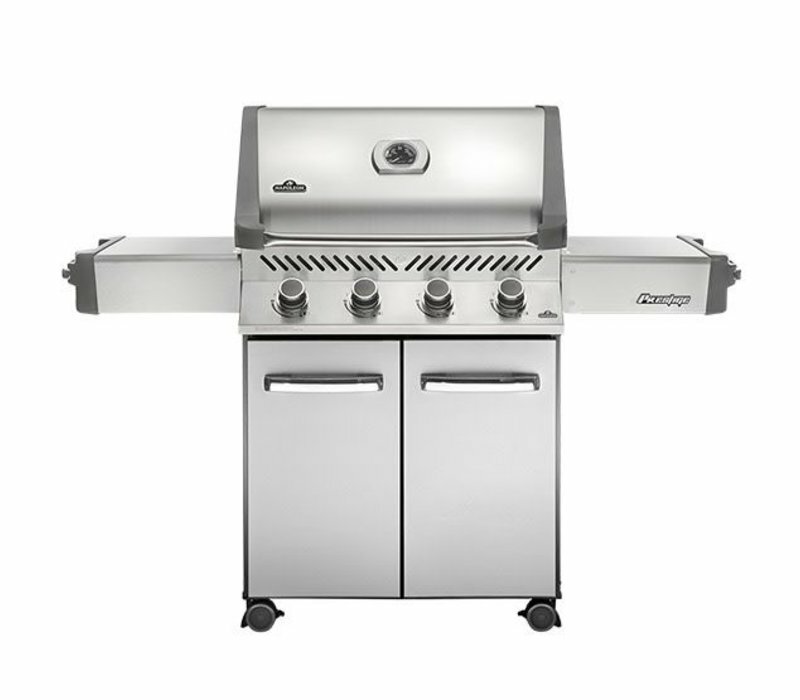 Complete your outdoor living space with the grill that can do it all.